1. An expandable cabinet shelf for twice(!) the space to group like with like — i.e., all the white mugs can live separately from the rando initial mugs people keep giving you from the Anthro sale section. I mean, those mugs are great too! Has sturdy iron construction, expands from 15.75 inches to 30 inches wide, and can hold plates, bowls, cups, and other fine china. 2. 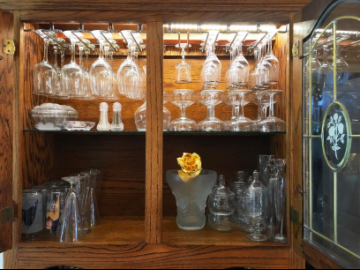 A mountable stemware rack that can sidle up under shelves behind closed doors or behind glass cabinet doors. Mounting hardware included, measures approximately 10x11x1.5 inches. 3. A pour-over filter stand so the essentials can be where you need them when you're a 5 a.m. zombie fumbling in your kitchen. 4. A pack of Sugru, which is really just fancy talk for moldable glue you can use to make hooks, hang storage racks, and pull off other handy cookspace tasks. Oh, and it can hold up to 2 kilograms! Get it from Amazon for $18.40+ (8-pack). 5. 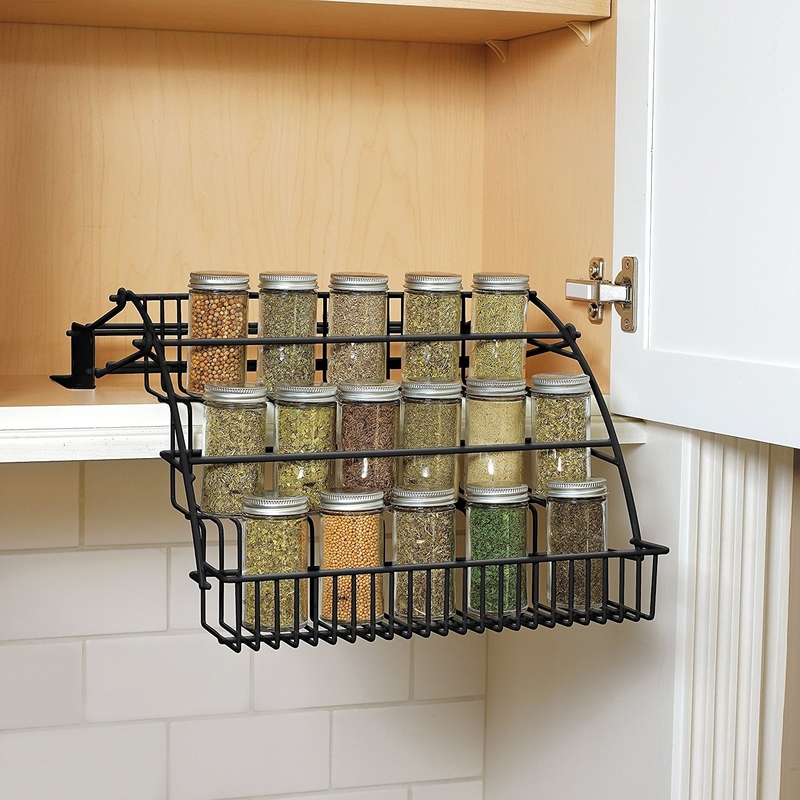 A pull-down spice rack for double checking you're grabbing the bottle of cumin, even though you *already know* it's on the third row, second from the left. Get it from Amazon for $19.99+ (three finishes). 6. An adjustable drawer-organizing system that'll grow with you and your kitchen utensil arsenal. Made of dishwasher-safe silicone. Includes a nonslip basemat, and 15 reposition-able Divitz in three sizes. 7. A gorgeous wooden magnetic knife rack in a ~variety~ of wood finishes to match your decor scheme. Has a continuous magnet and made of all-natural, food-safe wood. Includes mounting hardware and wood plugs to cover the hardware. Get it from Amazon for $35.95+ (available in 11 lengths, 10 wood finishes). 8. A 36-capacity K-cup drawer so you can finally banish the boxes of future coffee to the recycling where they belong... and it's sturdy enough to support your K-Cup machine! Get it from Amazon for $16.50+ (seven colors). 9. 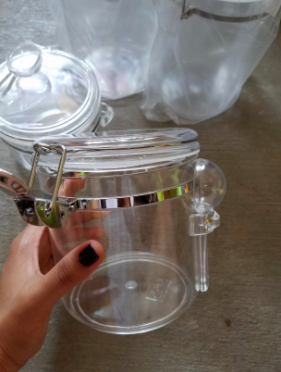 Or a 100-bag organizer for when you need to spill the tea without hogging a whole cabinet. 10. A pan and sheet organizer that'll transform the random cabinet that you can't figure out a use for while also protecting the non-stick coatings of your baking BFFs. 11. A heavy-duty pan organizer to handle your heavy cast-iron skillets without maiming their hard-earned seasoning. 12. A pair of pot lid organizers you can mount alongside your pot and pan rack you have stashed in the cabinet. Mounting hardware included. 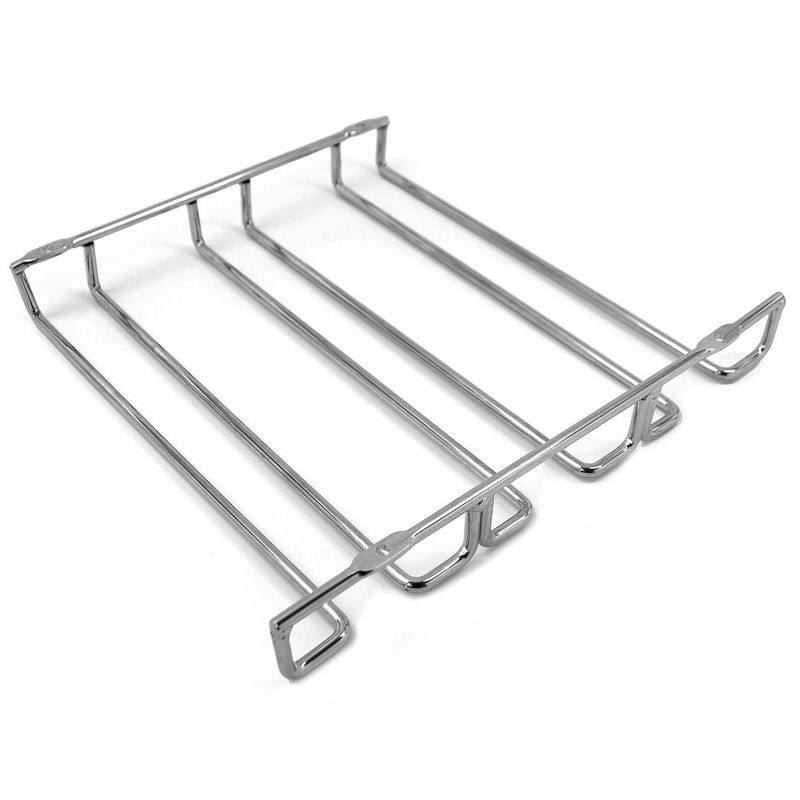 Each rack stores three lids, holds lids with different handle types, and measures 9.5x11.2x4 inches. 13. Or a horizontal pot holder in case you've got a whole shelf to spare. Made of 100% steel. Measures at 13.5 inches x4.5 inches x 4.5inches with 1-1/4 inches between dividers. 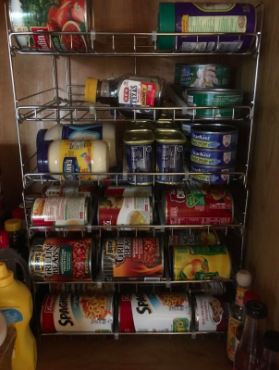 Organizes lids, plates, baking sheets, cutting boards, and more. Get it from Amazon for $9+ (available in two finishes). 14. A china storage set for when you don't need to pull out your wedding gifts, aka 363 days of the year. Made of quilted cotton fabric and has a top-loading design. Includes cases for dinner plates (12x 6.5 inches), salad plates (10x5 inches), dessert plates (8.5x5 inches), cups (16.5x12x4 inches), and saucers (7.5x5 inches). 15. 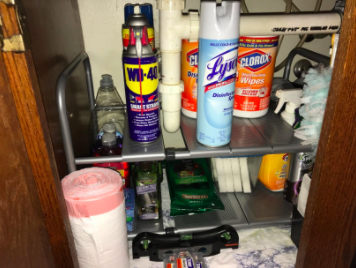 A stackable rack to finally bring some order to the pile of cleaning products you have under your kitchen sink...or in any ol' cabinet! I own this and it helps SO MUCH in my kitchen sink cabinet. No mounting required and measures in at 16.7x10.8x10.2 inches. Get it from Amazon for $22.87+ (available in two finishes). 16. 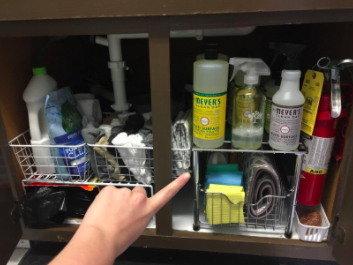 Or a complete under-sink storage system so you don't have to Tetris shelving units together. to 25-inch rail and four adjustable heights. 17. 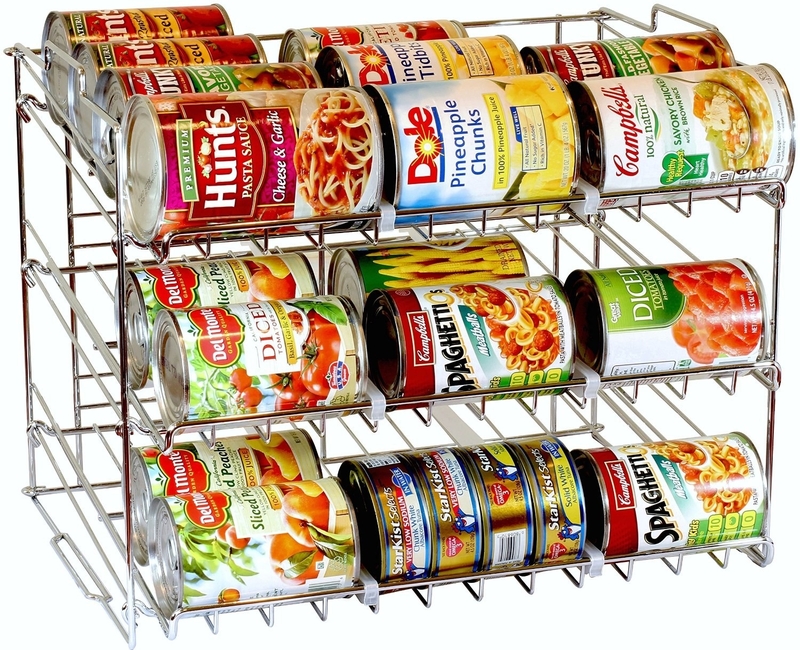 A peg organizer system can keep contents from rattling around while you're searching for the lone 1/4 cup measuring cup again. Get it from Amazon for $43.99+ (three sizes). 18. A sturdy can dispenser to see how many Diet Cokes you have left instead of reaching your hand in a dark, damp cardboard box like a horror movie villain searching for your next victim. Made of durable steel, holds 12 beverage cans, and measures 17.25x5.5x5-7/8 inches. Get it from Amazon for $9.97+ (three sizes). 19. A gorgeous utensil-draining caddy so the helpers that can't go in the dishwasher have a place to hang out that isn't a hideous drying rack. 21. 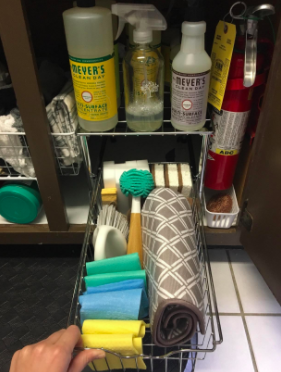 A countertop tray with enough grip to keep your sink essentials in place exactly where you want them, lest someone get confused as to where the scrubbing sponge goes. Get it from Amazon for $11.98 (three colors). 22. 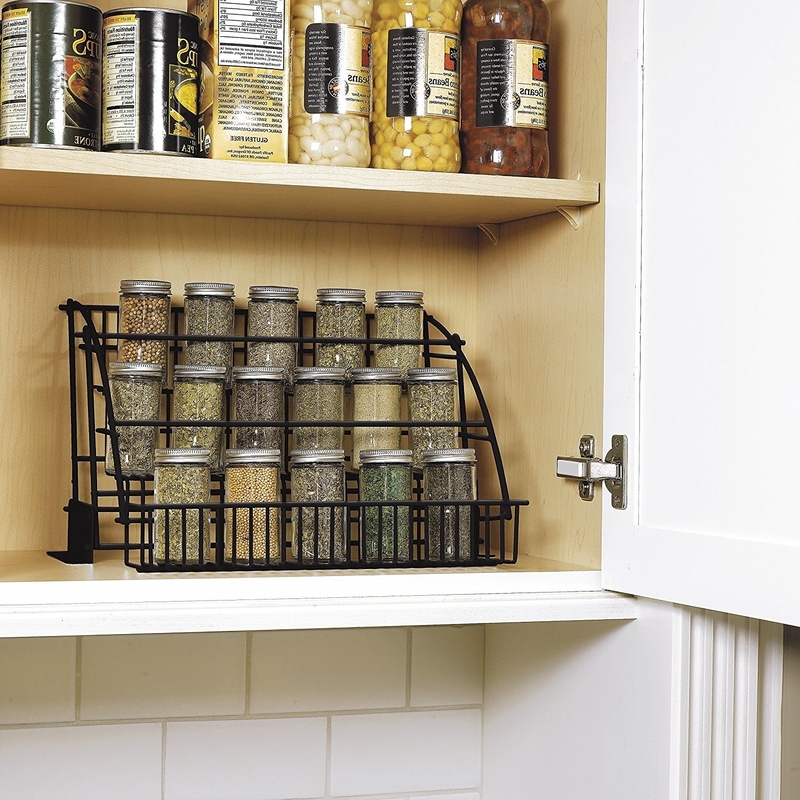 A set of under-shelf baskets for ensuring there's no wasted space in your pantry or fridge. Includes four baskets of varying size with a tight mesh grid to prevent contents from escaping. 23. 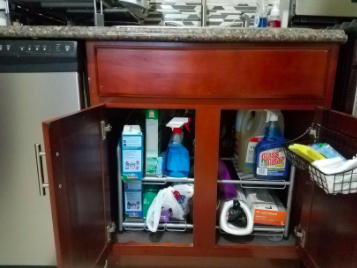 A sliding cabinet organizer that'll make reaching the stuff in the back of your cabinet considerably less burdensome — without having to pay for custom slide-out drawers. Get it from Amazon for $26.99+ (four sizes). 24. 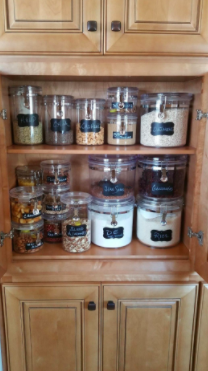 A set of air-tight containers and chalkboard labels to rid yourself of half-used boxes of pantry staples while creating a beautiful custom lineup. Container set includes five BPA-free acrylic canisters with air-tight lids with silicone gaskets. 25. An over-the-door organizer you can easily move to *right* where you need it. 26. 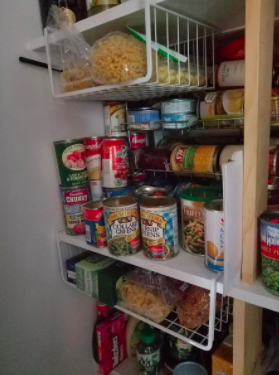 A stackable can organizer so you don't have to figure out which soup can's rings will cozily fit into the lid of another. 27. An adjustable wrap organizer that'll group your quart freezer bags and quart non-freezer bags in one place. 28. 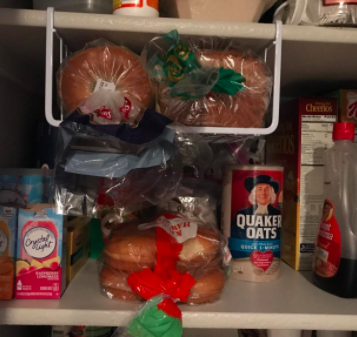 And a set of magnetic strips so stray beer bottles don't clutter up your well-oiled fridge food-prep system.